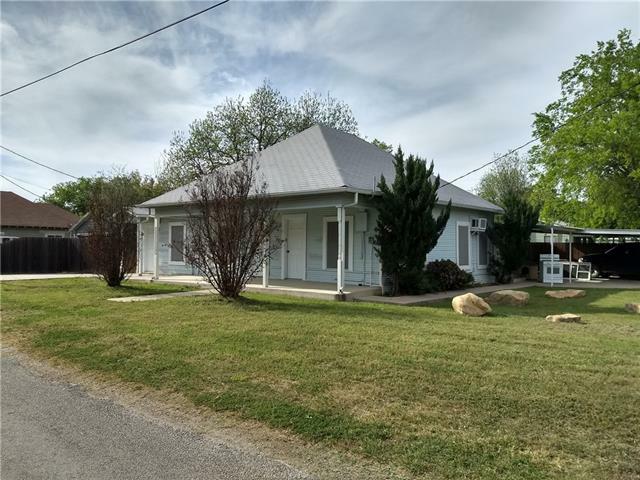 All Santo homes currently listed for sale in Santo as of 04/24/2019 are shown below. You can change the search criteria at any time by pressing the 'Change Search' button below. If you have any questions or you would like more information about any Santo homes for sale or other Santo real estate, please contact us and one of our knowledgeable Santo REALTORS® would be pleased to assist you. "Breathtaking!! 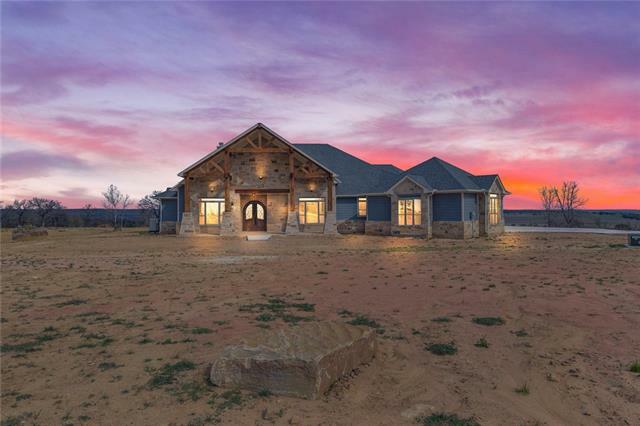 Custom built 4 bedroom, 4 and a half bath luxury ranch house situated on top of a mountain overlooking an amazing view of the Brazos River and the surrounding countryside. The 3800 sq.ft. house features a living room and kitchen area with an open concept with the dining room area sporting a picture window to enjoy the awesome views. The house has nice bedrooms, an office, game room, 2 garages and an outdoor kitchen area. Other characteristics of the house include foam insulation, "
"This hidden gem is in a wonderful secluded area off of Live Oak Road in Palo Pinto County.Quiet,Quiet,Quiet,hunt deer in your own back yard or raise your favorite livestock.Perfect place for ATV recreation.Two excellent views for a future guest home at back of property.Lots of cleared areas for grazing and includes some brush for wildlife habitat.Surrounded on all 4 sides with ranch land.Nice areas for entertaining,plenty of parking,nice shop , storage area and carport with electricity.Trails th"
"Amidst rolling hills of Brazos River valley, on high plateau of Chestnut Mountain sits a 2 bed, 1 bath home, with viewing deck to enjoy all panoramic views of area. Near front of house are three pipe fenced horse runs. Property is perimeter fenced, 90-year old wooden windmill sits on top of bluff in pasture next to house. Many numerous building sites with spectacular vistas. Water provided by Santo Water Supply. No water wells on property." 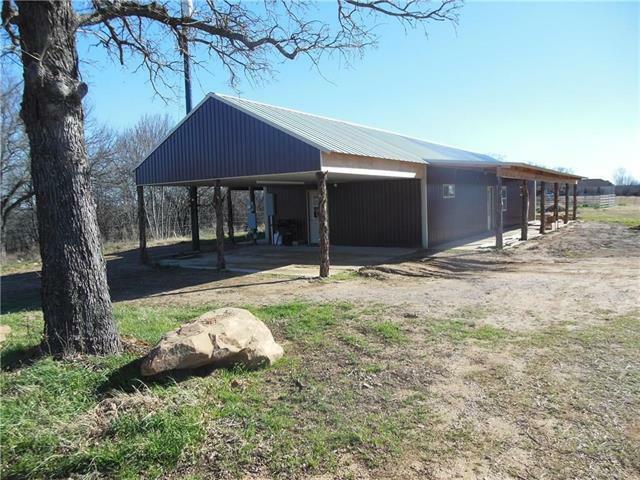 "New metal building with living quarters inside. Metal siding with T 1-11 wood finish inside. Concrete stained floors. Open concept in kitchen with breakfast bar in the great room area. Wood burning fireplace in living area. Ranch has one stock tank. Additional acreage available for purchase. There are 4 stalls covered in a 40 foot lofting cover. New buyer will be responsible for constructing new road and new co-op water connection." "Cute and Charming! This 1930's era home with high ceilings and pier and beam floors sits on a .27 acre corner lot adjacent to Santo school. 3 bedroom 3 bath with a Heated and cooled man cave & Large privacy fenced back yard. Easy access to I20 and rural settings this property has it all, Come enjoy the country life. Buyer to verify all information."